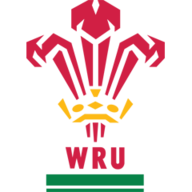 Wales will be looking to make it back-to-back victories in this year's Guinness Six Nations when they tackle Italy in Rome on Saturday (kick-off 4.45pm). The nature of their 24-19 win in Paris may have had more to do with the generosity of the hosts than it did the all-round excellence of Warren Gatland's side, but they still enter this clash with significant momentum and the chance to really turn the heat up on their Championship rivals. Sadly, it was an all too familiar story for Italy as they slumped to a 33-20 defeat to Scotland in their opener at Murrayfield where three late tries added a little respectability to the scoreline but failed to quell fears that this is going to be another fruitless Six Nations for Conor O'Shea's men. Have Wales really forgotten how to lose? Gatland has always had a way with words and so it proved again having seen Wales battle back from 16-0 down to win in Paris. "For me, the big difference between the two teams is that we've become a side that has probably forgotten how to lose and can dig deep like that," he declared. It was a bold statement and one no doubt noted by a host of keyboard-based critics who may well remind him of his words at some point in the future. But it is now 10 wins in a row for Gatland's side, including similar never-say-die successes against South Africa and Australia. There was a time, not so long ago, when such games would have slipped agonisingly through their fingers. Wales can certainly be forgiven for forgetting how to lose to Italy, though, having not lost to them since their 23-20 defeat back in 2007. While O'Driscoll is clinging on to one Six Nations record, he saw another slip from his grasp last weekend when Italy's Sergio Parisse made a record 66th Championship appearance against Scotland to edge past the mark of the Irishman. The inspirational 35-year-old has long been a shining light in the Championship but often in a side that hasn't been able to fully match his own level of excellence. This year's Six Nations may well be doubling up as a farewell tour with retirement potentially on the horizon for the great No 8. Many, including O'Shea, will be hoping he can conjure more talismanic to deliver a Six Nations victory (or two) as a fitting send-off. This is the first of three home matches for Italy and the emotion surrounding Parisse's potential last tournament is likely to build with every one. Wasps flanker Thomas Young is one of two Welsh players who will be making their first starts in the Championship this weekend - Leicester Tigers' Jonah Holmes is the other. Young, who came through the academy system at Cardiff Blues, has continued to make people sit up and listen about his form for Wasps in the Premiership. His turn of pace, defensive intensity and high-class breakdown work had seen him represent Wales at every level before an international debut against Tonga in 2017. This week marks the first time that the 26-year-old has been selected to start by Gatland. The head coach was away with the British and Irish Lions when Young gained his previous two international caps so the flanker will be eager to show exactly what he's made of in Rome. Rachael Burford, Alan Quinlan and Serge Betsen joined Will Greenwood and Rupert Cox on this week's podcast to talk all things Six Nations. "England have not become world champion favourites after one game and Italy haven't become doomed to get the Wooden Spoon after one game...," said Will Greenwood on the latest episode of the Will Greenwood Podcast. Greenwood is correct in pointing that out that cast iron assertions shouldn't be made after 80 minutes of rugby. However, history, and more recent performances, shape what is likely to follow in the coming weeks. "The reality is that England will end up near the top and Italy are going to end up with that Wooden Spoon," noted the World Cup winner. 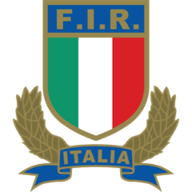 If a last-place finish does transpire for Italy then would be the 14th time that they found themselves the foot of the table since their arrival in 2000. The last time that they finished anywhere other than bottom was back in 2015. Three late tries at Murrayfield went some way towards masking what could have been a heavy defeat and if they struggle in the coming rounds the conversation regarding promotion-relegation will increase in volume, again.